This thread if for Bible believers, Christians and ANYBODY. I will be posting Biblical support for us being in the earth, an enclosed flat earth and firmament. I will show the clear and plain words God chose to describe His creation. I have the same thread on a Christian theology forum. I don't want scientific evidence, videos or images in this thread. Those can be used in my Conspiracy thread instead. I can't control that, I can only request it. I ONLY think this is POSSIBLE, not likely. I have the time and if I didn't stumble onto this topic 3 weeks ago, I'd be wasting my time still posting political content and bickering with brainless liberals all day. If you're 100% positive we're on a flying spinning ball then you should ignore this thread and do your usual thing. I am getting nothing out of this and I'm not trying to recruit or convince anybody of this. I am simply offering a different point of view and adults can decide for themselves. Thanks. My next post will be some very convincing word choices by God to tell us about where we are. God tells us that the earth is fixed, immovable, established and will not be moved. 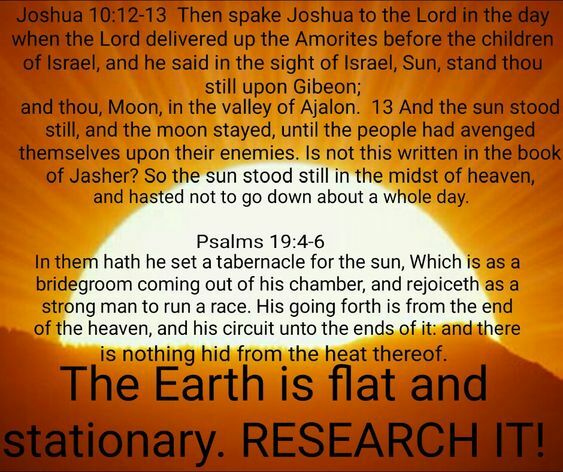 God also tells us that the sun and the moon run circuits around the flat earth plane. Any videos or images I post will have scripture, they will be short whenever possible and I will focus more on the Bible.. God tells us enough to know the earth is stable and set, and stationary. Ephesians 6:12-13 KJV - For we wrestle not against flesh and blood, but against principalities, against powers, against the rulers of the darkness of this world, against spiritual wickedness in high places.13 Wherefore take unto you the whole armour of God, that ye may be able to withstand in the evil day, and having done all, to stand. I think it's safe to assume we know very little about the sun, moon and stars, and "planets"
The "bright light" in Hebrew means the sun - in the clouds. Job 35:21 KJV - And now men see not the bright light which is in the clouds: but the wind passeth, and cleanseth them. The sun runs a circuit, not the earth. I think God would mentioned at least once if we spinning and moving and flying through endless "outer space"
its not flat, its shaped like a fried egg u numptie. Pipe down, you fatuous nincompoop. I remember being taught in Sunday School that the Bible teaches that the world is round but the Catholic Church suppressed this and burned people at the stake for saying it was round and not flat- which of course is total nonsense because nearly all the Church Fathers and all of the Scholastics believed in a globe earth. 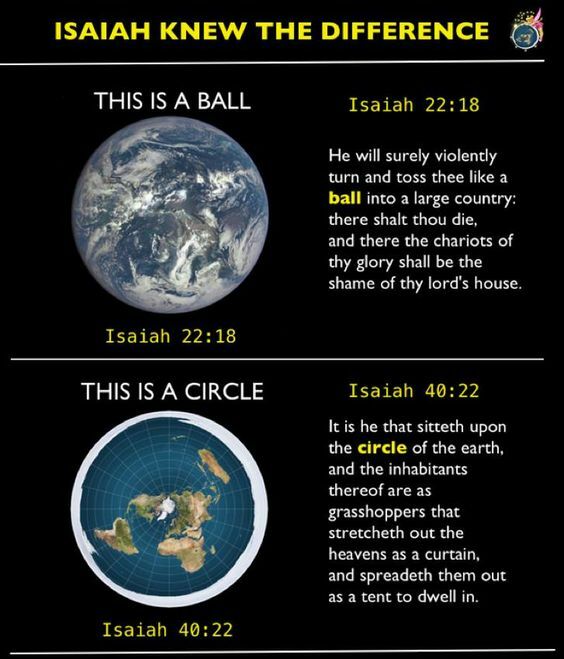 I will try to recall the references the teacher gave from the Bible about the earth being round. I believe in the "Gap Theory" so I'm not a "Young Earth Creationist"- however I'm totally opposed to the concept of evolution. There are very serious consequences that come along with believing or not believing in evolution. Patrick Jane what consequences do you see as coming along with people believing the earth is globe or that it is flat? Yes, they sell the lie of evolution so there is no God, the same with the earth. They lie about what we actually live in. These are the biggest deceptions since the garden. 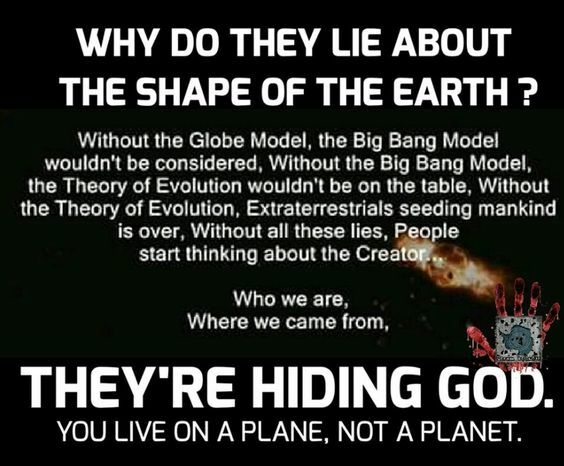 No proof of the flying spinning globe shape earth has EVER been shown, let alone proven. A ball shape "globe" earth rocketing through endless "deep space" @ hundreds of thousands of mph combined speed, and spinning at over 1,000 mph is not observable and cannot be proven. It is my contention that NO MATTER WHERE YOU START FROM ON EARTH, if you travel in a completely true straight line, you will arrive at an ice wall or frozen land. I have concluded that if the earth is NOT flat that earth is still geostationary, meaning the earth does not move and we are the center and focus of the WHOLE Heaven.This will be a thread with scriptural evidence of a Flat Enclosed Earth and Cosmos, Biblical Cosmology, short Christian/Bible related videos and other short videos with FE proofs, and images of various FE proofs and/or observations. I prefer no scientific data for a globe in this thread and I'm not looking for proof of a globe since I knew I lived one for 50 years. I know about the proof that we're on a flying spinning ball that requires 57 "theories" to prop up, not the least of which is the amazing something came from nothing big bang delusion. Strong delusion. I will be respectful, civil and friendly unless I am attacked. I fully expect ridicule, disagreement, insults and even anger as it is a controversial topic and questions the very core of everything we knew we knew. I will expound much further soon but before I'm allowed to start I'd like say that thinking or believing that an enclosed flat earth and cosmos is POSSIBLE is in no way related to salvation or doctrine. It leads people to a creator and the need for a Saviour and I have hundreds of testimonies to prove it. Thanks in advance to all that participate. The small close sun and the massive size of the earth. Perhaps thousands of miles of land and ice beyond the wall of ice that surrounds what we call earth. Forming a square ultimately with the circle of the earth in the middle. A circle squared, giving us the Four Corners of the earth. The Bible is exactly right on the earth, moon, stars, heavenly bodies and the heavens, cosmos. The distance that the sun travels takes it below the visible horizon and out of view. It really is line of sight perspective.Explained in the video as well but not with my model. Very few I have ever heard so far have mentioned the things that I do about the size of earth. We can't get to the edge because of weather, temps, distance, fuel, landing areas, communications etc. . The earth in my mind could be 50,000 to 100,000 miles in overall size. The sun is the same size as the moon and Masons show it in their symbolism. 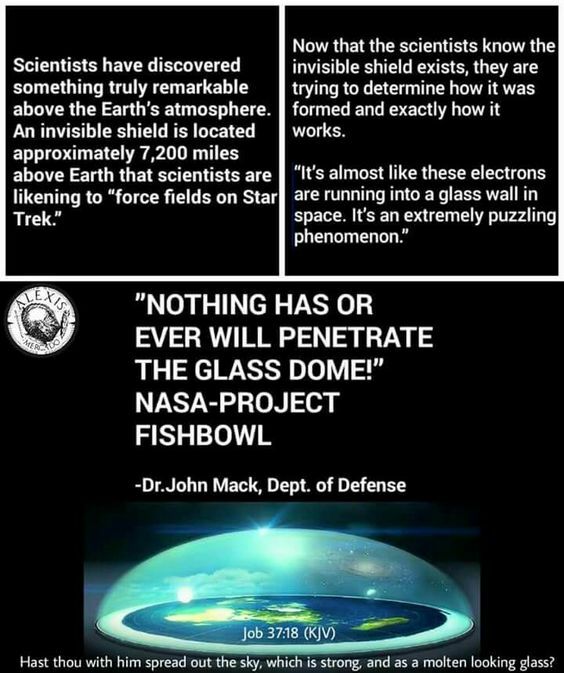 They show the truth for all to see and we have the globe so embedded in our minds it's all we can imagine. The sun is 32 to 62 miles wide and 3,000 miles high. You've never seen the earth as a globe from pictures. You see depictions, artist renderings, CGI, photo shop etc. There are NO unaltered authentic images of the globe earth. What do we really see? I can explain all of this in much greater detail but I actually feel like I'm wasting my time on this forum. People are interested in hearing the truth elsewhere. 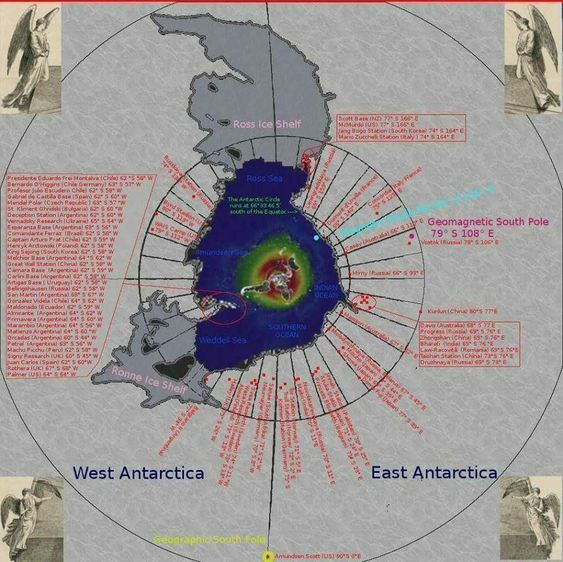 Here's an image of every base in the CIRCLE that surrounds us with latitude and longitude. The 7th one down on the left is Deception Station. Yes but evolution means that the gap between humanity and God was God's fault, it makes a mockery of Christ's Work on the Cross and the Doctrine of the Two Adams. This may sound weak but believing in evolution would throw me into an utter depression. Believing whether the earth is flat or round wouldn't have any emotional effect on me. That's what I'm telling the naysayers. I'm being accused of stupidity and leading folks AWAY FROM GOD. I say evolution, parallel universes, an expanding endless "universe" where we are only specks, aliens, 57 genders and lgbt insanity leads away from Christ. 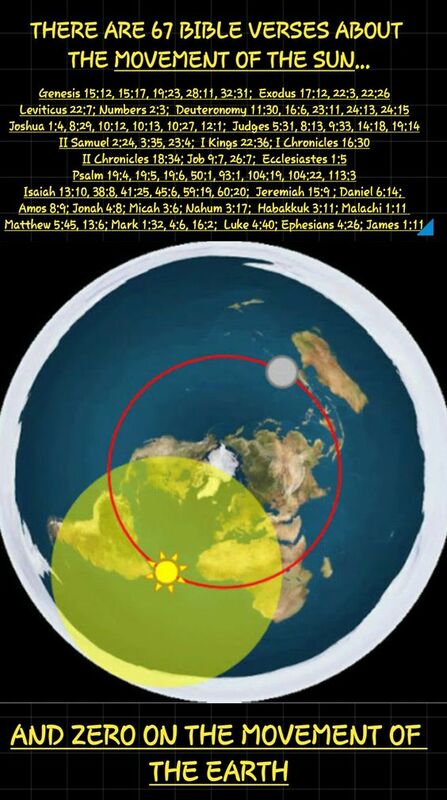 Believing that an enclosed flat earth and cosmos is possible points DIRECTLY TO THE CREATOR AND HENCE, JESUS CHRIST. This possibility in no way changes my faith or my doctrine. Wait until you see some of the scriptures I post and interpret. I realize the context is not about cosmology in some cases but they are descriptions God gives of of the earth and firmament. Afew people support me and see there is no harm done to anyone in my thinking. I'll try to get some posts in today, it's noon here and I usually post in the evening. Thanks again for talking about it with me, you're a nice person, I assume with your user name you are female? No matter right now, I like your posts.